?Sky Sports’ Italian correspondent Gianluca Di Marzio claims Inter have reached a preliminary agreement for the sale of Japanese international Yuto Nagatomo. Nagatomo has been on loan with the Turkish giants since January and the club now hope to make that deal permanent. According to Gianluca Di Marzio, Inter have agreed a €3m fee for the sale of the pacy full back. Nagatomo joined Inter in 2011 and has been an ever-present in the team ever since. The Italian side have good competition for places in those full-back positions though, including summer signing Dalbert Henrique. 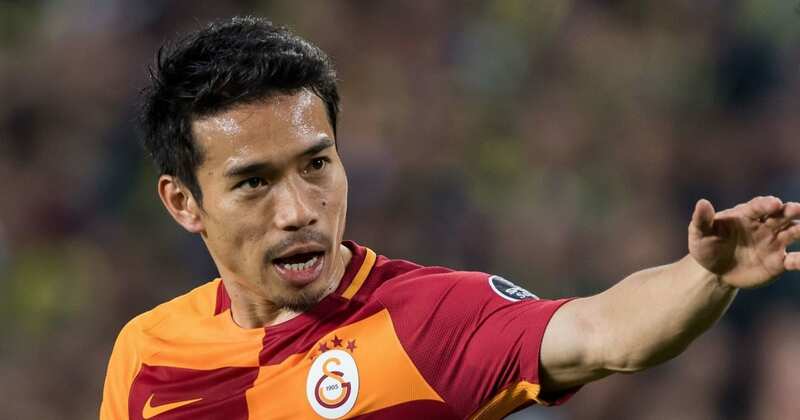 With the Japan star also now 31, his club see it as a good time to cash in, with Galatasaray eager to take the fullback following a successful loan spell. Nagatomo made 12 appearances for Galatasaray towards the end of the last Super Lig season. His performances were good enough to convince the Turkish side to meet his club’s valuation. The player is currently away at the World Cup with the Japan national team who got their campaign off to an excellent start with a win over Colombia. Finalisation of the deal will have to wait until Nagatomo returns from international duty but it appears as though an agreement is already in place. Inter are set for another busy summer of transfer activity as manager Luciano Spalletti looks to restore the club to their former glory. The Italian club finished fourth last season following a tense battle with Lazio that went right down to the wire. It means Inter will return to the Champions League next season for the first time in six years and they hope the promise of Europe’s top-tier competition will help to attract a new calibre of talent. The club are also close to agreeing a deal with AS Roma for midfielder Radja Nainggolan, also confirmed by Di Marzio via his site.